With the leaves changing colors, our favorite time of the year is not far behind. In just a matter of weeks, people all over the world will decorate their homes and businesses with festive colors and ornaments, watch the traditional TV specials and holiday-themed movies, and tackle their shopping list. Last fall, our Jackson NH Inn, Christmas Farm Inn & Spa, asked 30,000 people to complete an online survey asking them to reveal specifically what they love about the fall holiday season. We asked guests and strangers alike to share their favorite Christmas traditions and the movies, songs, TV shows, books, foods, holiday activities, recipes, drinks, decorations, and places to commemorate the occasion or shop for presents. Second Place: Elf (11%), Third Place: National Lampoon’s Christmas Vacation (9%). The 1946 classic film stars James Stewart as George Bailey, a man who has given up his dreams in order to help others, and whose imminent suicide on Christmas Eve brings about the intervention of his guardian angel, Clarence Odbody (Henry Travers). Clarence shows George all the lives he has touched and how different life in his community of Bedford Falls would be had he never been born. 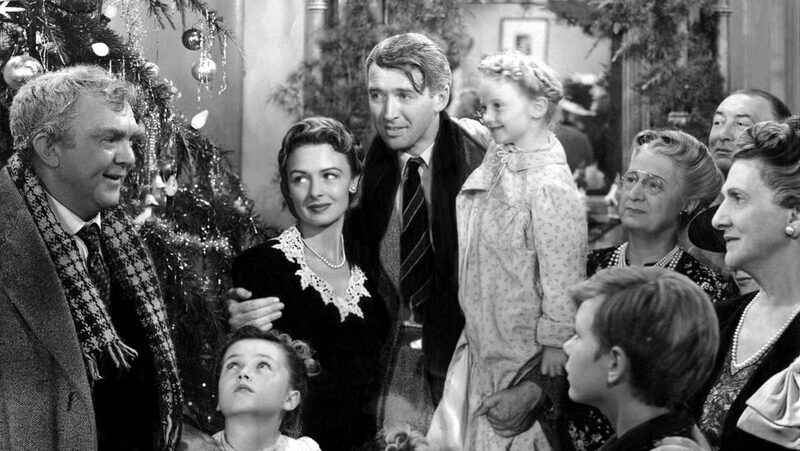 For many people, it just wouldn’t feel like Christmas without watching it at least once. There were a lot of different choices on this question with great movies like A Christmas Story, White Christmas, and Miracle on 34th Street barely missing the top 3. Favorite Christmas Song: “Silent Night” (11%). Second Place: “White Christmas” (10%), Third Place: “O Holy Night” (7%). The song was composed in 1818 by Franz Xaver Gruber to lyrics by Joseph Mohr and performed on Christmas Eve in a church in Austria that year. The version sung by Bing Crosby is the third best-selling single of all time. 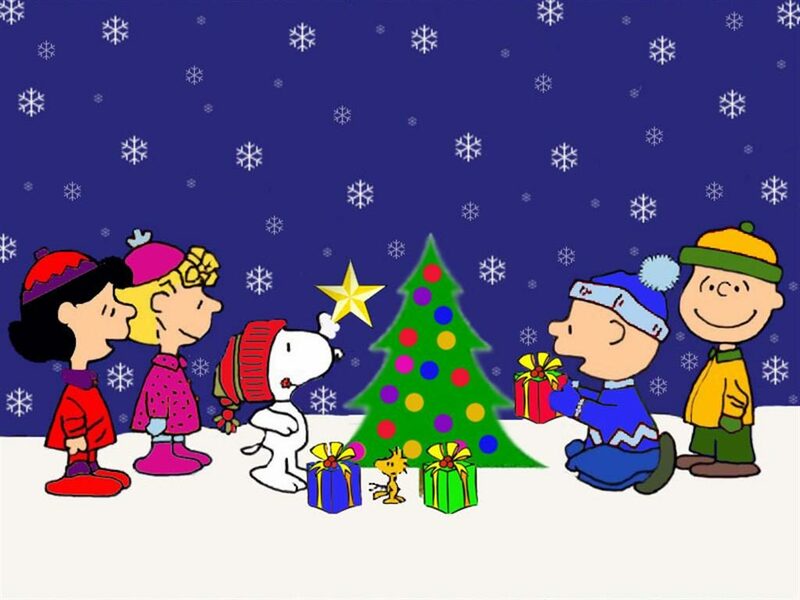 Favorite Christmas TV Show: Charlie Brown Christmas (24%). Second Place: Rudolph the Red Nosed Reindeer (21%), Third Place: How the Grinch Stole Christmas (9%). The animated television special was based on the comic strip Peanuts, by Charles M. Schulz. The program made its debut on CBS on December 9, 1965. The network wrongly predicted the program would be a disaster preceding its broadcast. In the special, lead character Charlie Brown finds himself depressed despite the onset of the cheerful holiday season. Lucy suggests he direct a school Christmas play, but he is both ignored and mocked by his peers. The story touches on the over-commercialization and secularism of Christmas, and serves to remind viewers of the true meaning of Christmas. Favorite Christmas Commercial or Ad: Coca Cola (13.5%). Second Place: Budweiser Clydesdales (12%), Third Place: M&Ms (6%). Coke has done many effective TV ads over the generations but among the “best loved and most influential ads in TV history”, according to Campaign magazine, was the 1970s ad that showed a group at night, with each person holding a lit white candle, finally revealing the group forming a triangle reminiscent of a Christmas Tree while they sing about teaching “the world to sing in perfect harmony”. Coke is also credited with inventing the modern image of Santa Claus as an old man in a red-and-white suit in its advertisements. More recently, animated ads with polar bears have reinforced the holiday messaging. Favorite Christmas Book: “Night Before Christmas” (44.7%). Second Place: “Polar Express” (10%), Third Place: A Christmas Carol by Charles Dickens (5%). Favorite Christmas Treat: Christmas Cookies (27%). Second Place: Egg Nog (8%), Third Place: Candy Canes (3%). On the survey, respondents mentioned sugar cookies, italian cookies, gingerbread cookies, as well as just cookies. In Canada and the United States, since the 1930s, children have left cookies and milk on a table for Santa Claus on Christmas Eve, though many people simply consume the cookies themselves. The cookies are often cut into such shapes as those of candy canes, reindeer, and holly leaves. The earliest examples of Christmas cookies in the United States were brought by the Dutch in the early 17th century. Favorite Christmas Activity: Decorating the Tree (15.8%). Second Place: Opening presents (5%), Third Place: Caroling (5%). 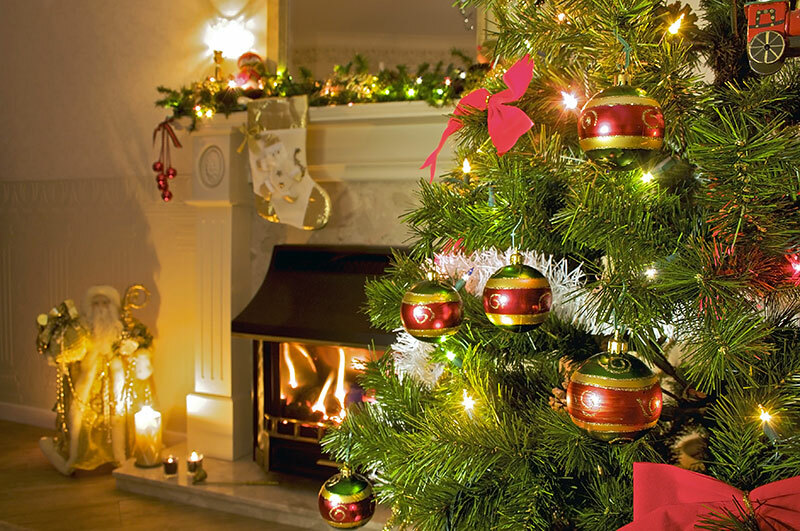 Many families collect beautiful ornaments or similarly place garland, tinsel, candy canes, and/or colored electric lights in an evergreen conifer such as spruce, pine, or fir or an artificial tree of similar appearance. The finishing touch is the angel or star placed at the top to represent the Star of Bethlehem from the Nativity. Favorite Christmas Food: Ham (13.5%). Second Place: Turkey (8%), Third Place: Prime Rib (8%). According to some folklorists and historians, the Christmas ham tradition is believed to have begun among the Germanic peoples as a tribute to Freyr, a god in Germanic paganism associated with boars, harvest and fertility. They sought to implore Freyr to show favor to the new year. Favorite Christmas Recipe: Sugar Cookies (4.5%). Second Place: Gingerbread Cookies (3%), Third Place: Sweet Potatoes (1%). A popular treat during the holidays, recipes include the main ingredients sugar, flour, butter, eggs, vanilla, and either baking powder or baking soda. Sugar Cookies may be formed by hand or cut into festive shapes, topped with frosting and/or sprinkles. We received so many different responses to this survey question, including many starting with “My grandmother’s ___”. Favorite Christmas Decoration: The Christmas Tree (22.5%). Second Place: Sentimental Ornaments (12%), Third Place: Lights (7%). The modern Christmas tree can be traced to the 15th century Germany, where Christians brought decorated trees into their homes. The practice acquired wider popularity during the second half of the 19th century. According to the National Christmas Tree Association, there are close to 350 million Christmas trees currently growing on Christmas tree farms in the United States alone and about 25 to 30 million real Christmas trees sold every year. Second Place: Hot Chocolate (7%), Third Place: Wine (3%). This chilled, creamy dairy-based beverage is traditionally made with milk or cream, sugar, whipped eggs, and spices like vanilla or nutmeg. It may be served with distilled spirits such as brandy, rum or bourbon. Historians believe eggnog developed from a medieval European beverage called posset that was used as a cold and flu remedy during the Middle Ages. Second Place: Homemade Gifts (11%), Third Place: Gift Cards (3%). In an age of commercialism, it was nice to read that the majority of people considered time spent with loved ones as the thing they most wanted for the holidays. Indeed, many families gather during December to share a meal, exchange presents and partake in so many of the other traditions cited in the survey. Favorite Place to Celebrate Christmas: My Home (47%). Second Place: Anywhere With Family (17%), Third Place: Jackson NH (2%). To quote “The Wizard of Oz”, there really is no place like home. The ideal Christmas would appear to be the comfort of one’s own dwelling, watching snow fall on a peaceful night through a frosted window. This point is driven home whenever we are unable to make it home due to travel or work complications. With most businesses closed on Christmas Day, the majority of people spend this time resting at home. Favorite Place to Shop for Christmas: Amazon (22%). Second Place: Local Stores/North Conway (16%), Third Place: Online (14%). According to the website Statista.com, 47% of US consumers bought gifts online last year. Some 45% of consumers made at least some purchases at discount stores. There are many options available to buyers, including traditional department stores, outlet stores, restaurants, membership clubs, specialty stores, supermarkets, sporting goods stores, furniture stores, and computer stores. Holiday retail sales top $630 billion, employing 800,000 people. Seattle-based Amazon was responsible for nearly a quarter of all retail sales growth in 2015, shipping more than 200 million packages during the holidays. Opinions vary, but for a majority of those completing this survey at least, the ingredients for Christmas read like a shopping list for a great seasonal experience. For us, such information is useful to our mission to provide Holiday HQ for visiting friends and guests year-round. We genuinely do whatever we can to ensure that our guests are happy and really enjoy their stay. We have been blessed with their support, good wishes and meaningful feedback.